July 28, 2018 Acting General Director of the hotel & la; Danilovskaya & raquo; Hegumeness Feofaniya (Miskina), Superior of the Pokrovsky Stavropegic Women's Monastery in Moscow was appointed. 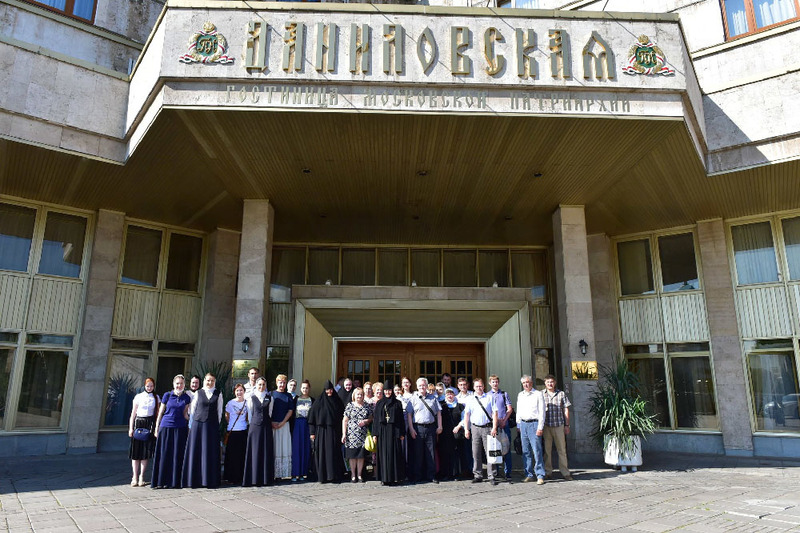 July 30, the new director of the hotel, Abbess Theophania, with the participation of the commission: Archbishop of Solnechnogorsk Sergiy (Chashin), an employee of the Moscow Patriarchate's legal service Chavchanidze LG, deputy general director Roshchina AA took over the property and documentation of LLC & la Danilovskaya Hotel & raquo ;. The commission examined the hotel building, the territory of the adjacent park, business premises. August 2, 2018 Abbess Feofaniya held the first meeting with hotel staff "Danilovskaya & quot;. Hotel & la Danilovskaya & raquo; It was built in 1991. The hotel has 121 rooms: single rooms & ndash; 51, double rooms & ndash; 53, Junior Suite & ndash; 13, suite & ndash; 3, apartment - 1 Also in the hotel there is a conference hall for 350 seats, a meeting room, a restaurant, 5 banquet halls, a bar-billiard. Hotel working hours & ndash; round-the-clock.